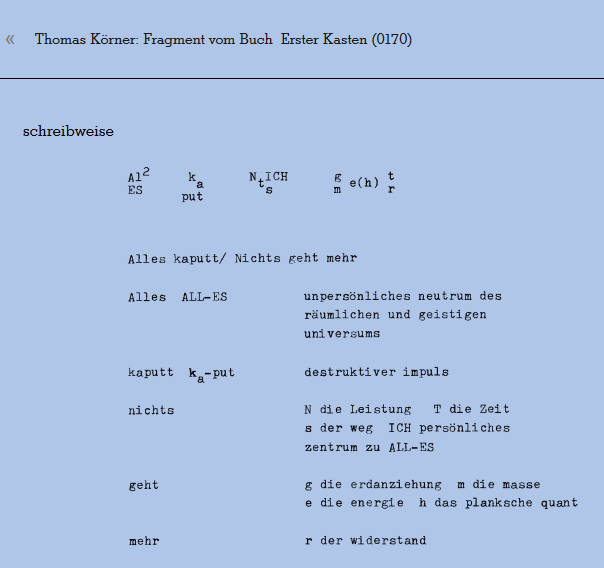 Thomas Körner wants to find new forms for language, he uses formulas or graphics. 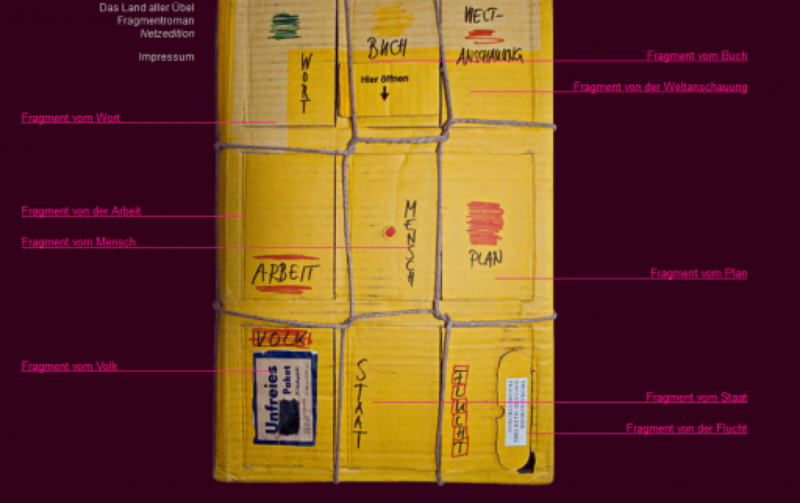 The narrative voices brk and klr are characterized by the graphic representation of the triangles, and the § signs stand as § I (producing) for the Fragment of the People and § II (consuming) for the Fragment of the State. 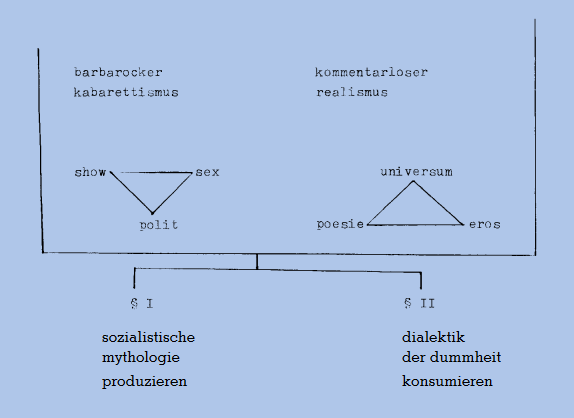 With these diagrams, Körner characterizes in a simple way complex relationships between the narrative voices brk and klr and the contents of the Fragments of the People and State.